The First Year Hive is designed for the first year beekeeper that is scheduled to get their bees early in the season. 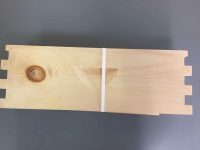 Normally, First year hive is all the wood ware you will need for your first year of beekeeping. Two medium honey supers will, under normal circumstances, be your first year honey production. 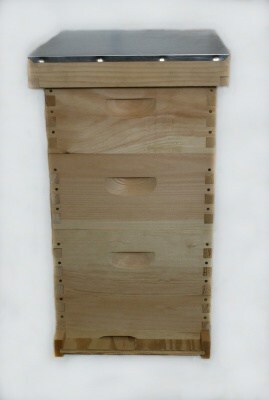 The hive body is made from White Pine from the New England area. Made in Toccoa, GA. Plywood is from Georgia grown pine. You may choose between a 8 frame or 10 frame size. This comes assembled and unassembled.